twxxd.com - 2013 vs 2014: Fight! Well, I think we know who is going to win this fight. FINISH HIM. Happy New Year everyone! Or is that exclusionary… hmm… Happy Arbitrary Marker at Which We Decided to Measure the Rotation of the Earth Around the Sun! P.S. TWT is coming next week instead! This was far more appropriate :). Super fun! Happy New Year, guys! 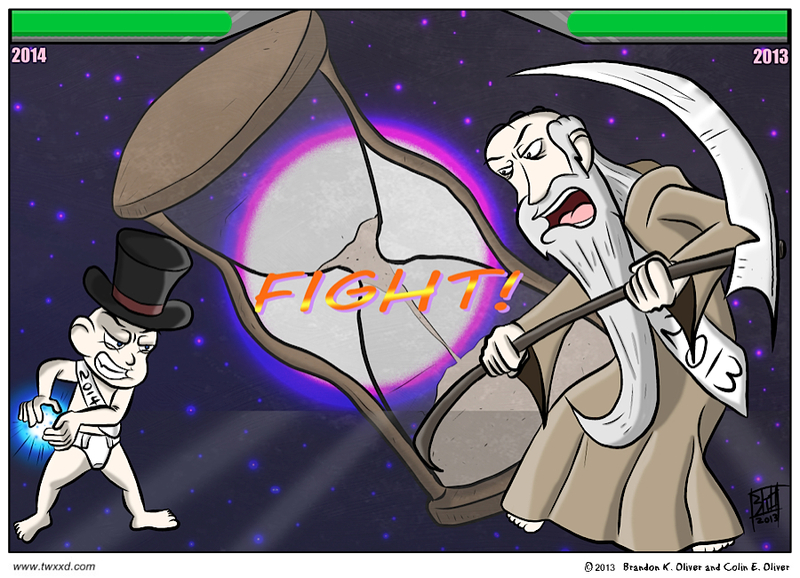 A Hadouken vs a giant scythe…. the victor will be announced in 2018. I hear the baby is a real button masher.